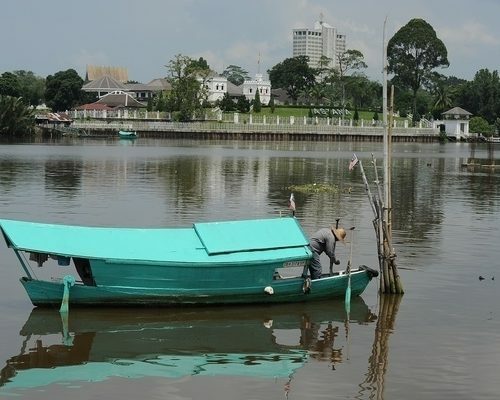 The waterways of Borneo, once a primary means of transportation, are a unique way to visit Borneo. 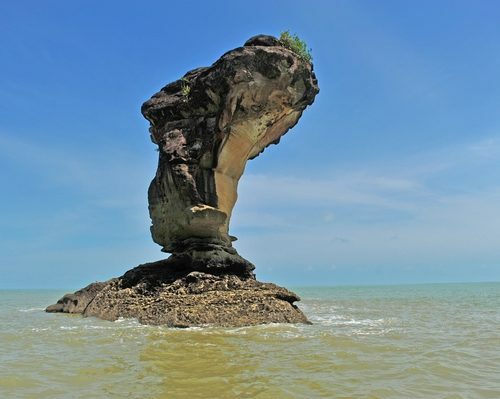 This itinerary starts in Kuching where you’ll explore the Sarawak River by sampan and head across a small stretch of the South China Sea to Bako National Park. 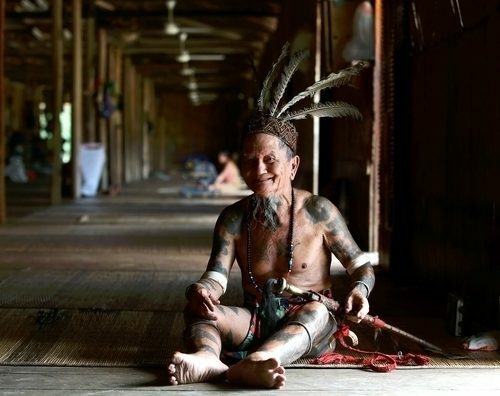 In the Batang Ai region, learn about the Iban tribe who entered Sarawak from Kalimantan generations ago and explored the many waters before settling on the shores of the lake. 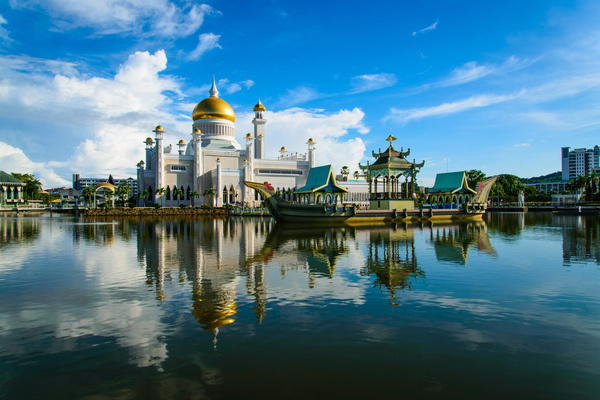 In Brunei you’ll have a chance to see a traditional water village, glide through mangroves looking for proboscis monkeys, and head upriver to Ulu Temburong National Park. 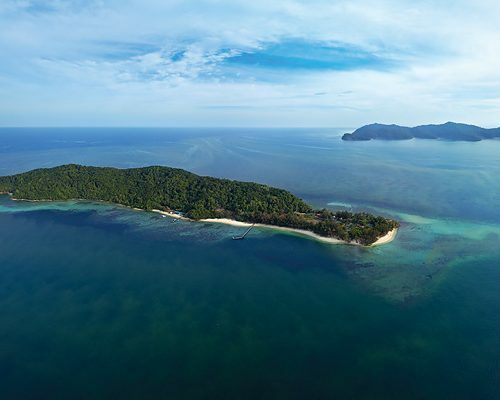 In Sabah, explore the Tunku Abdul Rahman Marine Park near Kota Kinabalu before a journey down the Kinabatangan River for days of river safaris. 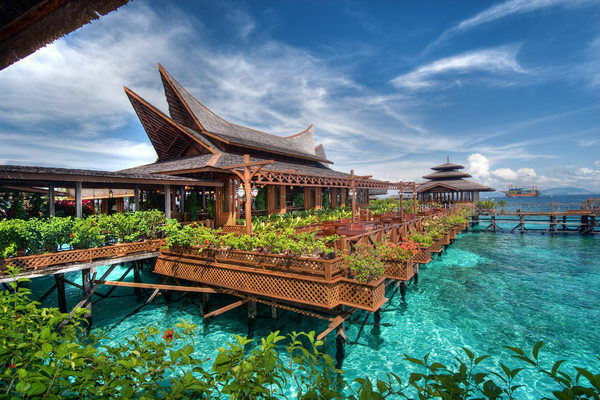 End the trip in the Celebes Sea on the small island of Mabul where the snorkeling and diving are second to none. Please remember this itinerary is here to inspire you as all of our holidays are tailor-made to suit you. We’re happy to add or subtract days or destinations and adjust as you see fit. 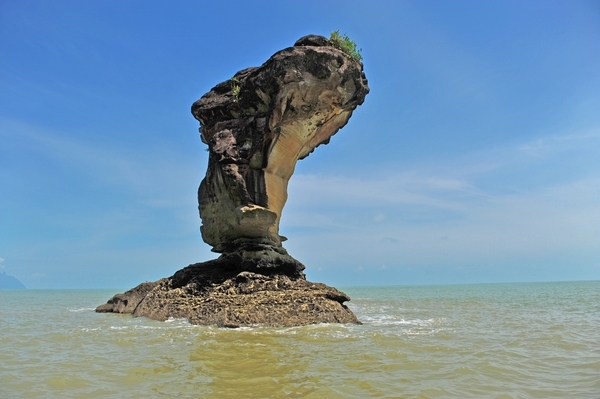 If you’re interested in exploring the waterways of Borneo, give us a call at UK 020 7112 0019 or email borneo@fleewinter.com. Welcome to Borneo! 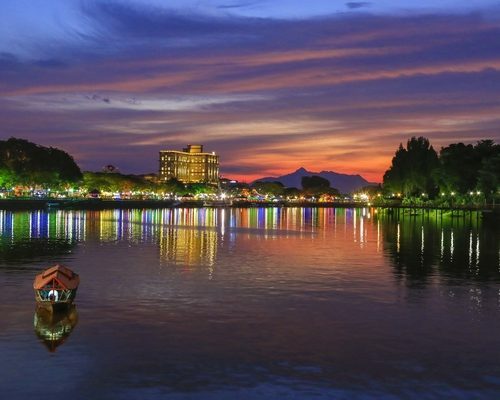 Your driver will collect you at Kuching International Airport and transfer you to your riverfront hotel. 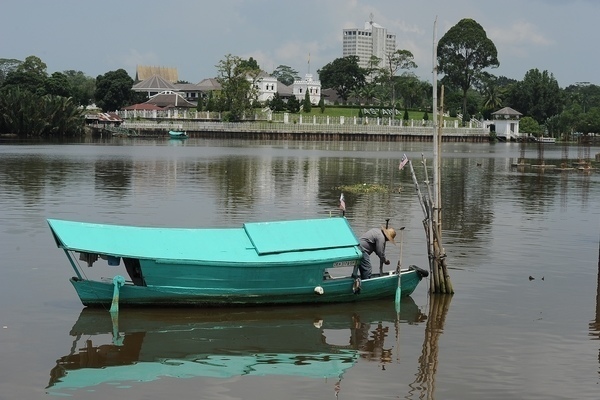 Late in the afternoon head out on the Sarawak River with your guide on a traditional sampan. 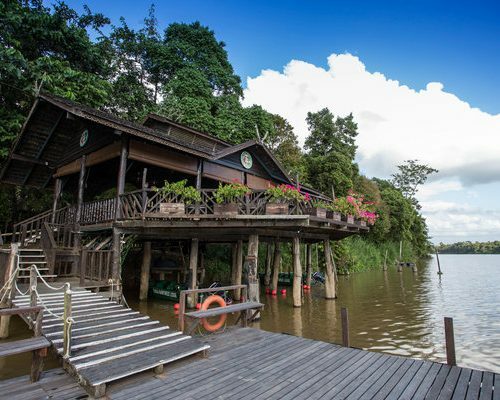 This introduction to the waterways of Borneo will take you to a Malay village where you can chat with the boatman and a local family over dinner. This morning your guide will accompany you to the village of Bako where you’ll hop aboard for a short boat ride to the national park. You’ll cross a patch of open sea and if the tide is low, walk through the surf to the park. 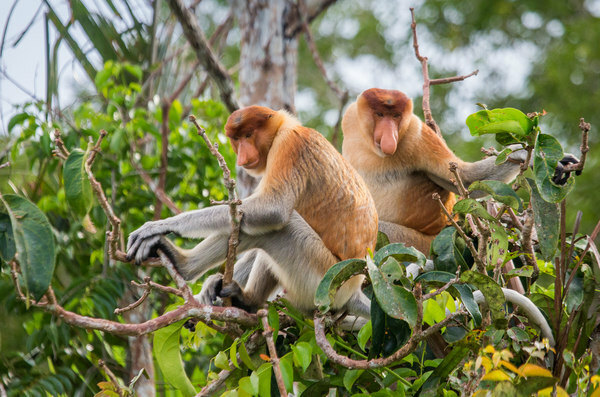 You and your guide can decide which trails you’d like to walk in search of proboscis monkeys, flying lemurs, wild boars, macaques, silver leaf langurs, and other wildlife. There’s time this morning for more walks in Bako, including one to see the unique sea column, only visible at low tide. After lunch you’ll return to Kuching. 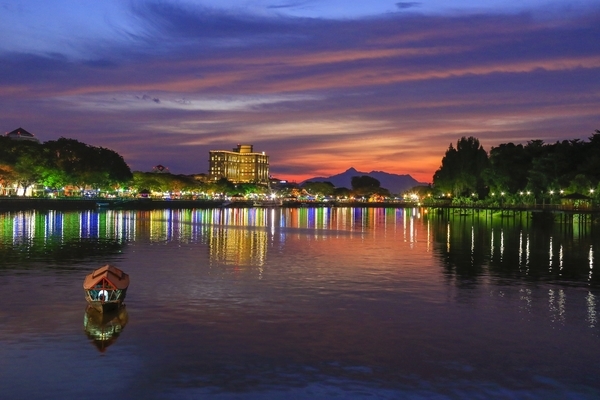 Consider an evening stroll along the Sarawak River. The waters of Batang Ai await you today. 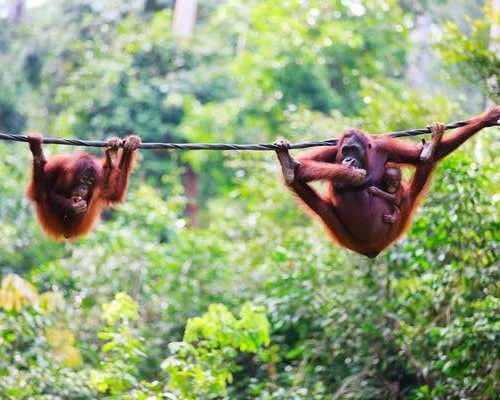 Break up the journey with a stop at Semenggoh Nature Reserve where semi-wild orangutans may come to the feeding platforms for a meal if the trees aren’t in fruiting season. After a stop for lunch, you’ll reach the edge of the lake. Enjoy the boat ride to your resort where the remainder of the day is yours to enjoy. 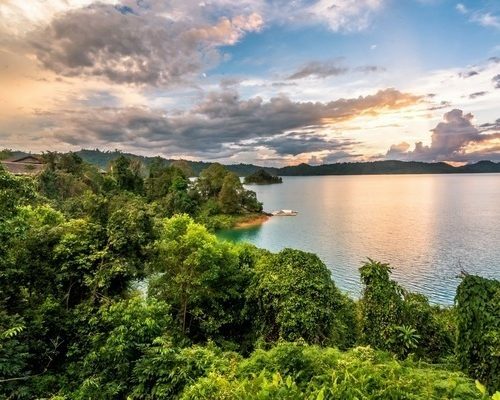 Skim across the lake on a traditional Iban longboat with your guide. 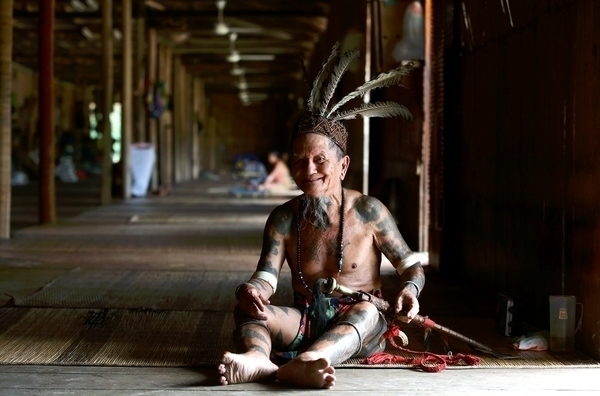 Visit the local Iban people in their longhouse to learn about their unique way of life. These friendly descendants of headhunters will welcome you in and your guide will help you talk with them over lunch in the longhouse. In the afternoon, take a nature walk that leads to a canopy bridge with gorgeous views of the lake on either side. One more ride across the lake today en route back to Kuching. The drive will take a few hours but your guide and driver will pause for stops at a pepper plantation and for lunch. Board an early morning flight to Miri where your driver will meet you. 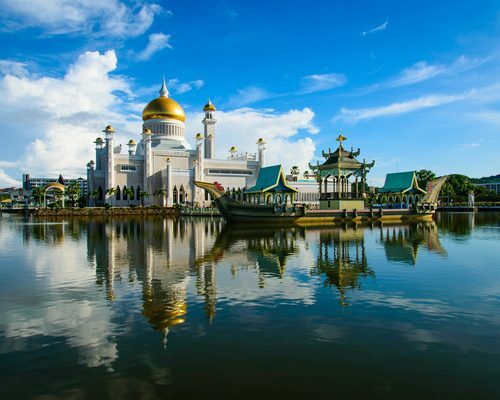 It’s a three-hour ride and a pass through immigration en route to Bandar Seri Begawan, the capital of Brunei Darussalam. Once checked into your hotel, you’ll join your guide for a local lunch and a boat trip to Kampong Ayer, the largest Malay water village. 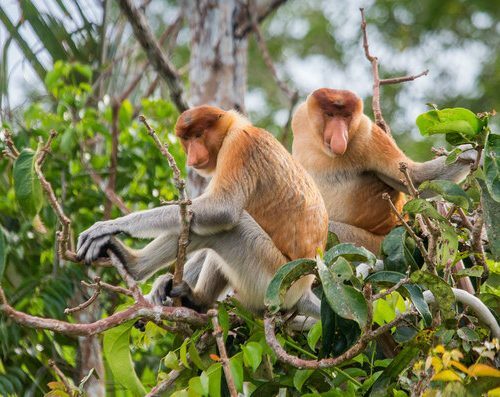 Continue your time on the water as you move through the mangroves in search of proboscis monkeys. 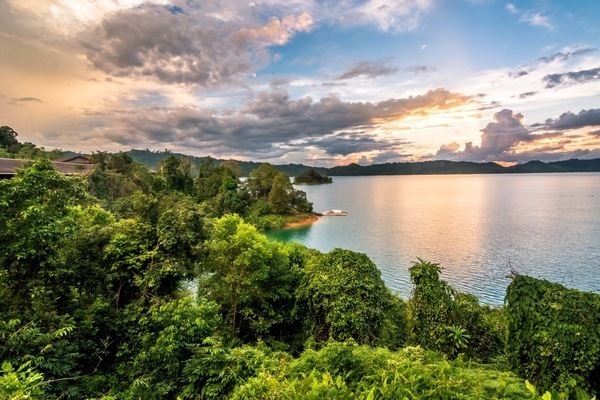 Today you’ll visit Ulu Temburong National Park, where the boat journey might be the best part. With a guide you’ll take a water taxi until it can go no further and you’ll transfer to a longboat. If water levels are low, you may find yourself helping to push the boat upstream! 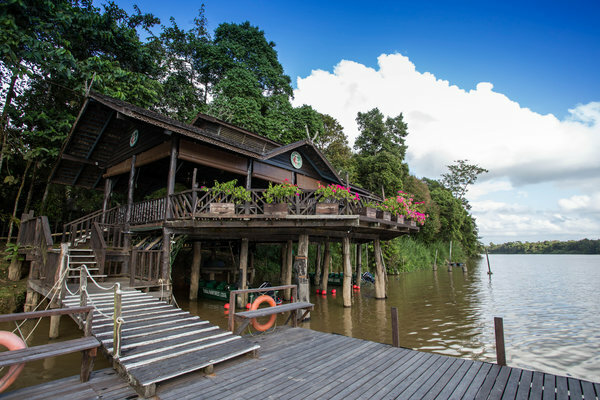 Take a nature trek and canopy walk within the park before heading downstream in the longboat and back to Bandar. Fly to Kota Kinabalu this morning where your driver will transfer you to your city hotel. 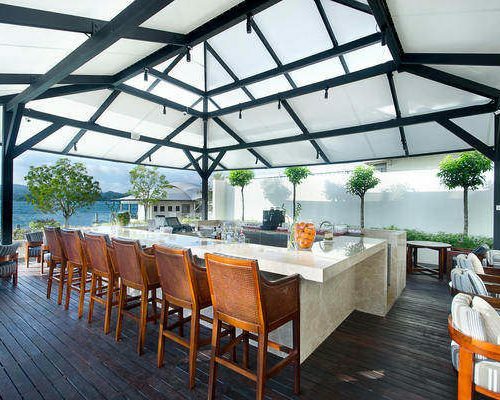 You’ll have most of the day to relax, consider a walk along the waterfront as you look out at the South China Sea. 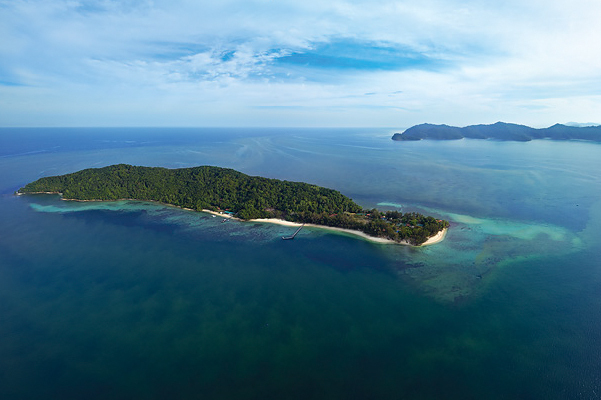 Your guide will collect you this morning for a day trip to the islands of Tunku Abdul Rahman Marine Park. 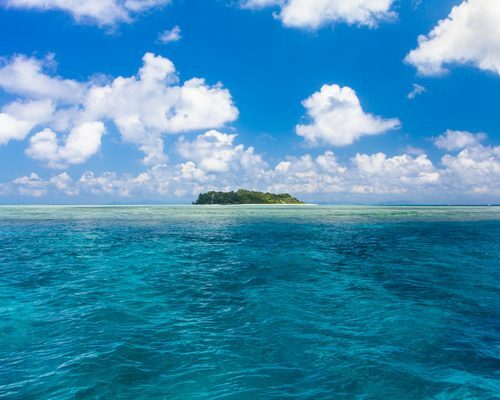 A mask and snorkel will be provided so you can slide into the South China Sea and check out some of Borneo’s colorful marine life. It’s an early morning start today as you’ll be collected for your flight to Sandakan. 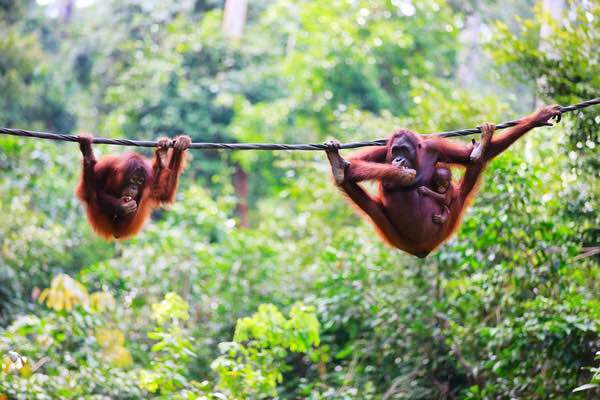 Once there, you’ll join others heading for the Sepilok Orang Utan Rehabilitation Centre for the morning feeding. 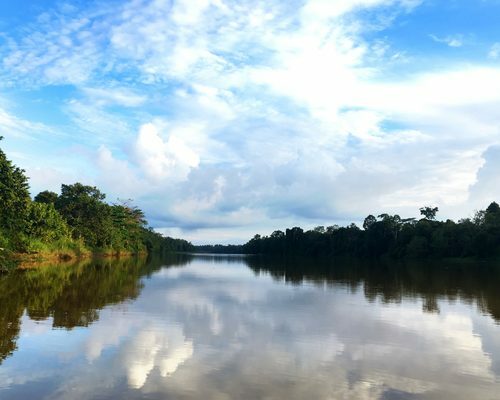 After a visit to the Sun Bear Conservation Centre and lunch, start your journey down the Kinabatangan River. Look for crocodiles and proboscis monkeys along the way. 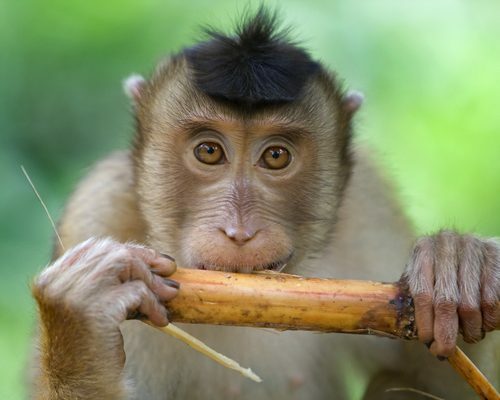 Today you’ll have two river cruises to look for birds, orangutans, monkeys, crocodiles, and other wildlife. 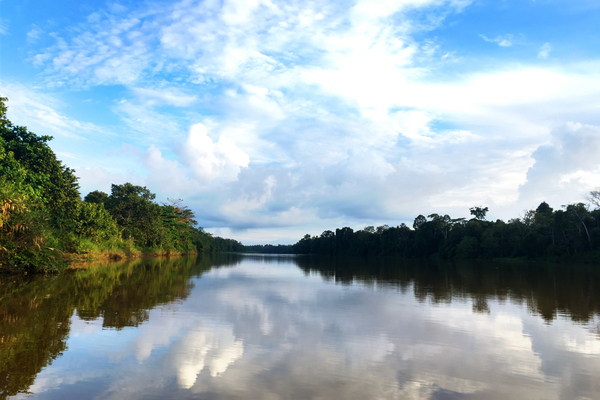 The second-longest waterway in Malaysia, the Kinabatangan River, is bordered in many stretches by the Lower Kinabatangan Sanctuary. 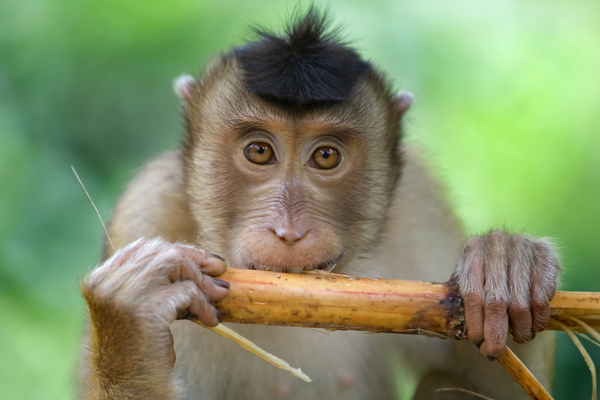 This protected area is one of the only places on earth where ten species of primates can be found. This morning you’ll have one more ride along the Kinabatangan River en route to Sandakan. After lunch, visit the Rainforest Discovery Centre and Sandakan War Memorial to learn about Borneo’s role in WWII. 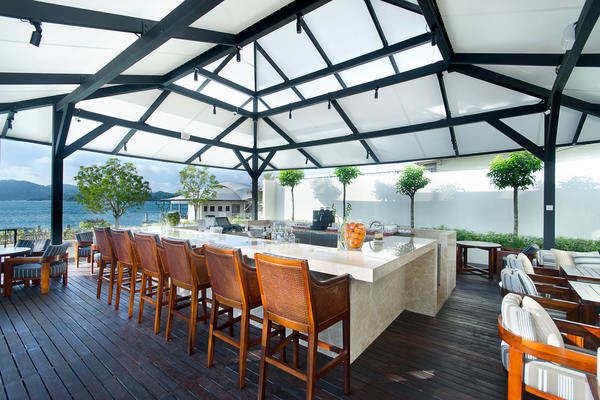 This evening we suggest walking to one of the seafood restaurants near your hotel, they’re some of the best in Borneo. This morning your driver will take you to the Sandakan airport for a short flight to Tawau. From there it’s a two-hour drive to Semporna and a 45-minute boat ride across the Celebes Sea to the island of Mabul. 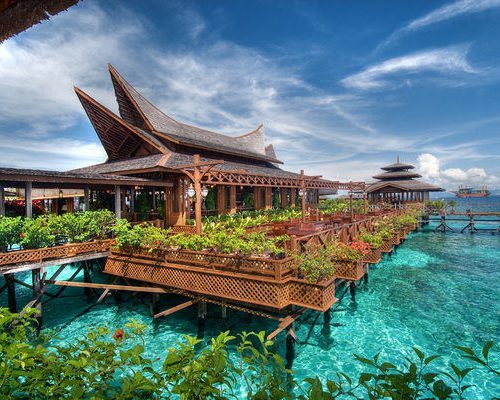 Once checked into your overwater bungalow, jump into the water to snorkel the house reef or simply take it easy. These days are yours to relax as you wish. 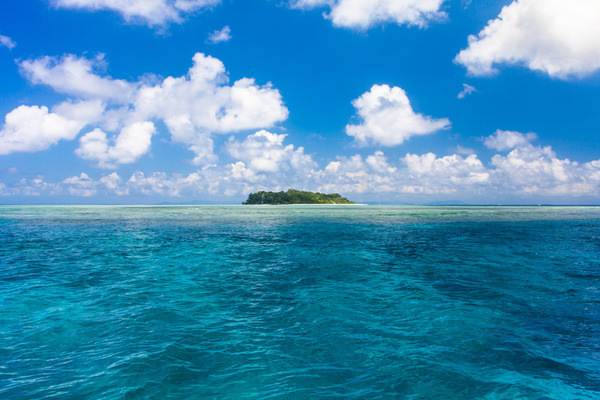 Unlimited snorkeling at the house reef is included and if you’d like to join a boat of divers going to nearby Kapalai island, the snorkeling there is also incredible. 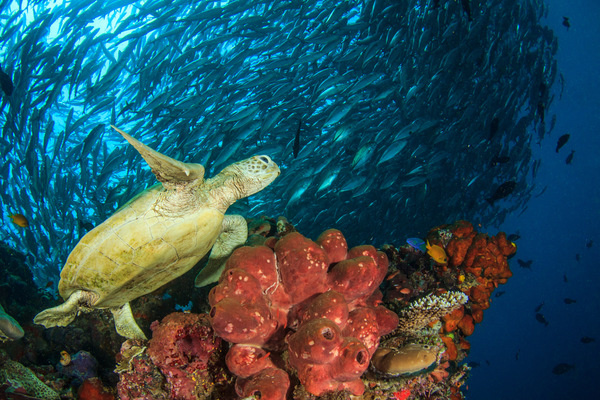 The marine life in the Celebes Sea is rich, healthy, and a true delight. 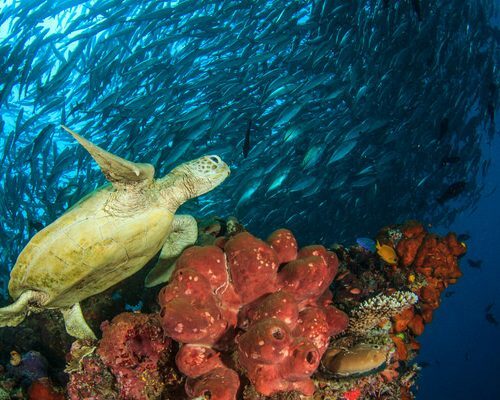 If you’ve never been diving, this is a great place to try it out! Day 18	- Bon voyage! This morning you’ll head across the water to Semporna for a ride back to Tawau where you can get a flight to Kuala Lumpur and onward to home. Safe travels! This itinerary costs from £3,350 per person based on two adults sharing excluding peak seasons of July-August, Christmas and New Year, and Chinese New Year’s. The price includes all transfers and domestic travel but not international flights.